Carroll County Events, Maryland Wine Festival, Shopping, Jobs, and Good Times! Your guide for information and news about Carroll County MD. Helping Job Seekers find Employment Opportunities in Carroll County Maryland. See new Jobs available now! Is your health just OK? Energize and maximize it with New Earth! Get deals and shop for sales. Find the best events, festivals, restaurants, sports, and recreation in Carroll County Maryland. Best buys for Carroll County Maryland. Find the best events in Carroll County MD. Maryland's best wine festival in Westminster Maryland. Shopping, local deals, and coupons! Eldersburg MD, Sykesville MD, Hampstead MD, Manchester MD, Mount Airy MD, and Taneytown MD. Deals on clothing, shoes, jewelry, toys, electronics, and more! 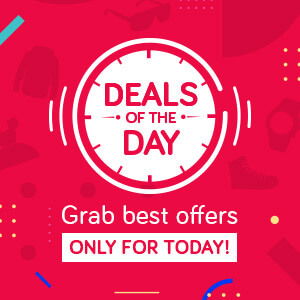 See all deals. New deals. Every day. Shop our Deal of the Day and more daily deals and limited-time sales. Westminster MD Groupon, Groupon Deals in Carroll County MD, Find your favorite Groupon, get local Groupon deals on beauty, spa, service providers, retailers, restaurants, travel, and search for the best Maryland deals with Groupon. What is Carroll Deals? It's a Carroll County website that provides a variety of deals from local business in Westminster MD, Eldersburg, Sykesville MD, Hampstead MD, Mount Airy MD, and all other towns in Carroll County MD. On Carroll County Deals you can shop for deals and purchase coupons that give you a 50% discount and savings on dining, entertainment, fitness, spa, events, and many other great products and services in Carroll County. Everything is on sale at Carroll Deals! Find a coupon for your favorite restaurant, gym, or salon. Go shopping for the best deals, bargains, and sales in Carroll County. Sign up to receive weekly deal offers from Carroll's Best places for dining, entertainment, recreation, and shopping. It's free to sign up for Carroll County deals so register today at carrolldeals.com and get ready to shop! Thank you for visiting Carroll County deals. Carroll County, a great place to get deals. Shop local business at Carroll Deals. Carroll County Deals is a group deal service brought to you in association with the Carroll County Chamber of Commerce, South Carroll Business Association, Hampstead Business Association, Manchester Area Merchants Association, Mt. Airy Chamber of Commerce, Taneytown Chamber of Commerce, Carroll County Times, Northern News, The Merchandiser, and WTTR. Carroll County Deals will be the primary information provider of local deals for Carroll County MD. Shoppers hunt for deals throughout Carroll County at the Carroll Deals website. Carroll Deals is the Carroll County Maryland shopping resource for deals and coupons. Also shop for other related Carroll County deals, coupons, and discount offers from Carroll County business, Carroll County restaurants, Carroll County dining, Carroll County entertainment, Carroll County events, Carroll County shopping, Carroll County sports, Carroll County fitness, Carroll County travel, salons, spas and much more. Shopping key words related to this page: State of Maryland, MD, Maryland state tax, visit Maryland, Westminster, Westminster MD, city of Westminster, Westminster Maryland, Eldersburg, Sykesville, Hampstead, Manchester, Taneytown, Finksburg, Carroll, Carroll County, Carroll County MD, Carroll County Maryland, Ocean City Maryland, Ocean City MD, Baltimore Maryland, Baltimore MD, Baltimore, Frederick MD, Annapolis Maryland, Gettysburg, mall, shopping, Westfield Mall, shopping mall, shopping mall near me, shopping center, online shopping, shop, store, google store, Black Friday, Black Friday deals, Black Friday ads, Cyber Monday, best Black Friday deals, when is Black Friday, Cyber Monday deals, best Cyber Monday deals, holidays, holiday, Christmas, 12 Days of Christmas, gifts, gifts for men, personalized gifts, anniversary gifts, gifts for Mom, gift baskets, Christmas gift ideas, gifts for Dad, gift ideas, gift ideas for men, christmas gifts, graduation gifts, birthday, anniversary, graduation, wedding, wedding gifts, unique gifts, gift shop, New Year, New Year's Day, Presidents' Day, Presidents Day, Valentine's Day, valentine, Easter, Mother's Day, Mom, Father's Day, Dad, high school graduation, college graduation, Independence Day, Fourth of July, Back to School, Halloween, Thanksgiving Day, Hanukkah, women, women's, baby, pet, men, men's, boys, girls, books, electronics, clothing, video games, entertainment, health, home, sports, and toys. Black Friday Deals and Cyber Monday Deals for Carroll County. When is Black Friday? Black Friday isn't until the day after Thanksgiving, but since you're here already, looking for Black Friday deals, we got the deals going a little early. We're counting down to Black Friday Deals Week with, yes, even more deals, all day, every day. Black Friday sales, Cyber Monday specials, Carroll County best deals--you'll find them right here. Carroll County Deals provides information about Christmas Deals, Holiday Deals, Christmas Shopping Deals, Black Friday Shopping Deals, Black Friday Sales, Gift Deals, Christmas Gifts, Holiday Gifts, and more. 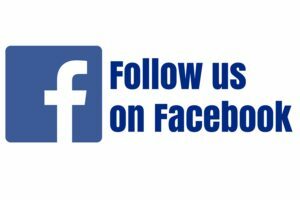 Carroll County Deals is on Facebook. Sign up now so you don't miss a deal. Featuring money saving offers and sensational deals from local merchants in Carroll County MD. Sign up for Carroll Group Deals and receive exclusive offers with discounts of 50% off and higher on local dining, entertainment, events, and other great products and services! Feature your business on Carroll County Deals! Carroll County Deals provides weekly deals and money saving offers from local business in Carroll County Maryland. Consumers can shop for exclusive deals and purchase items usually starting at 50% off the retail cost. Welcome to Maryland's Carroll County, home of the Maryland Wine Festival, Baltimore Ravens training camp, and Carroll Deals. The Carroll Deals website features local business from Carroll County Maryland including these local Carroll County community areas: Westminster MD, Eldersburg, Finksburg, Hampstead, Keymar, Lineboro, Manchester, Mount Airy, New Windsor, Sykesville, Taneytown, Taylorsville, Union Bridge, Upperco, Winfield, and Woodbine. Carroll Deals is the Carroll County Maryland website for shopping, dining, restaurants, salons, entertainment, spas, shops, business, and offers the best local coupons, deals, discounts, bargains, and sales in Carroll County. Easily find fun events for the family and Carroll County carnivals. Also look for Carroll hotel deals at Carroll Deals, carrolldeals.com, the place for Carroll's best deals. If you're searching for county court records, county records, county public records, Carroll County inmate search, Carroll County inmates, Carroll County arrests, Carroll County arrest report, Carroll County Sheriff, or county criminal records for Carroll County Maryland, try here or go here. To see Carroll County obituaries and Westminster MD obituaries go to the obituaries link. For local Carroll news, weather, sports, check out the Carroll County Times. Searches related to Carroll Deals include: Carroll County Business, Carroll County Shopping, Carroll County Dining, and Carroll County Restaurants. The Carroll County Maryland Deals and Coupons website was developed by a Carroll County resident and small business owner in Carroll County MD. Carroll County Deals was created to provide the best deals to local consumers resulting in huge discounts and savings to customers throughout Carroll County. The daily or weekly deals featured on this website also provide an opportunity for Carroll County business to connect with more customers in the Carroll Community, enhance their brand, and achieve their desired goals. Ultimately, everyone benefits when they use Carroll County Deals. Thank you! Some of the merchants featured on Carroll County Deals are members of the following Carroll County business organizations: Carroll County Chamber of Commerce, South Carroll Business Association, Hampstead Business Association, Manchester Area Merchants Association, Mt. Airy Chamber of Commerce, Taneytown Chamber of Commerce, and Neurs Affiliate program at Neurs.com. The Carroll County Deals website is published by Scott Singleton. To see more details about me, go to my new personal website - Scott Singleton. Tour Carroll Wineries, Vineyards, Breweries and Distilleries in Carroll County Maryland. Tastings and product sales may be available for the following locations: Galloping Goose Vineyards, Detour Vineyard & Winery, Serpent Ridge Vineyard, Old Westminster Winery, Pub Dog Brewing Company, Ruhlman Brewery, Miscellaneous Distillery, and Patapsco Distilling Company. Gamber Fire Co. Carnival Grounds, 3838 Niner Road, Finksburg. 6pm – 11pm. The 1st fireman’s carnival of the year! Rides, food, games, and entertainment. Free fireworks on Monday night, Memorial Day – May 30th. www.gambervfd.org. Union Bridge Fire Company Carnival Grounds, Union Bridge. 6pm – 10pm. Our annual carnival is back and better than ever. We have some new games, great raffles, lots of rides and awesome entertainment. We are also trying something new this year, “hand dipped ice cream”. Come out to support your local volunteers and have a fun family night out. Lunch available 11:30am - 1pm. http://www.ubfc8.org. New Windsor Vol. Fire Company Carnival Grounds, High Street, New Windsor. 6pm – 11pm. Rides, food, games and entertainment. Dinner served nightly starting at 5:30pm. Taneytown Vol. Fire Company Carnival Grounds, Memorial Drive, Taneytown. 7pm – 11pm. Lunches will be served Monday through Friday from 11am to 1pm. Nightly entertainment and family ride night every night. Rides open at 7pm and shows start at 7:30pm. Dinners are served starting at 4:30pm daily. www.tvfc5.org. Rides, food, games and entertainment. http://sykesvillefire.org. Harney Fire Company Carnival Grounds, 5130 Harney Road, Taneytown. 6:30pm – 10:30pm. Rides, food, games and entertainment. http://harneyfire11.org. Manchester Fire Company Carnival Grounds, 3400 Locust St., Manchester. 6 – 11pm. Winfield Fire Company Carnival Grounds, 1320 W Old Liberty Rd., Sykesville. 6 – 11pm. Rides, food, games and entertainment. See schedule on website for parade and fireworks information. Reese Fire Company Carnival Grounds, 1745 Baltimore Blvd, Westminster. 6 – 11pm. Free parking; more than 20 rides; and nightly entertainment. Food and games. Parade is Thursday evening July 27th at 6:30pm. Fireworks are Saturday evening July 29th after sunset. Better health with natural products for healthy aging, cognitive health, energy, digestion, skin health, antioxidants, probiotics, heart health, mood improvement, joint support, and performance. It's New Earth Natural Health. If you don’t notice better health with our products we want to give your money back, it’s that simple. Go to newearth.com or by phone at 1-800-800-1300. Use referral id # 2030074. For Your Health - Be Well. and health programs in Carroll County. The New Earth community was formed around products worth sharing. Associates from diverse backgrounds agree that our products are life changing and they want others to experience them too. They know they are a part of something bigger, something that is meaningful and contributes to the health of friends, family and contacts. Be a part of a passionate & innovative community of people who are helping to make a powerful impact on World health. Build your future and have fun doing it! 100% natural organic products that are in the fastest growing health/nutrition trends on the planet. College FootGolf - For Footgolf players on College club sports teams. We're looking for campus recreation student athletes, college clubs, Intramural teams, and intercollegiate athletic teams to join the College Footgolf organization, and play footgolf tournaments with other colleges and universities. Go to the National College FootGolf Association website for information about the college footgolf program. McDaniel College is the host sports venue for college footgolf championship events. Team New Earth is a new MLM opportunity in the network marketing industry. Learn more about New Earth and enroll in their new MLM. Try BioAgile now! All Natural, tasty, and healthy! Health and Fitness - New Year, Get Started Today!